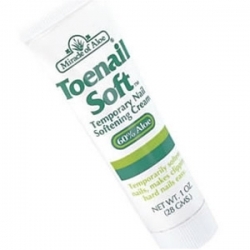 Temporarily softens up even the toughest toe-nails to make cutting easier. 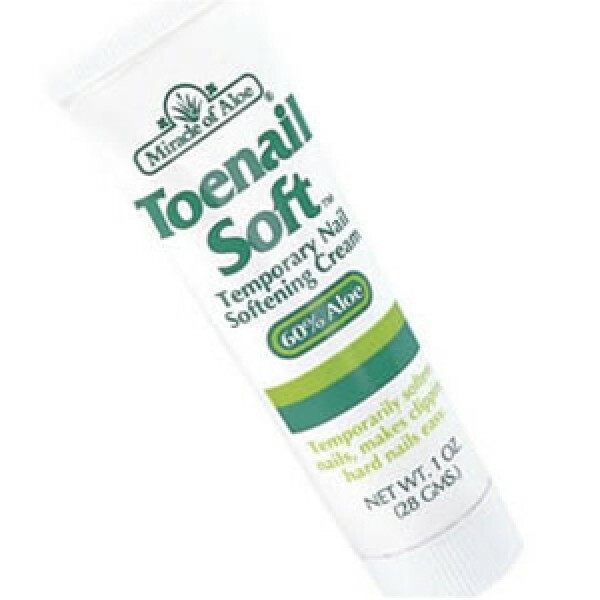 Works on tough toe nails. Specially formulated with Aloe and effective softening agents. Apply before bed, completely covering the nail. Leave on overnight and in the morning trim nails. Aloe barbadensis leaf juice, mineral oil, petrolatum, glyceryl stearate (and) PEG-Stearate, beeswax, neatsfoot oil, stearic acid, glycerin, sodium stearate, cetyl alcohol, sorbitan sequiolate, propylene glycol (and) propylparaben, DEA-cetyl phosphate, melaleuca alternifolia (tea tree) leaf oil, disodium EDTA, fragrance. Service second to none. Very speedy delivery. 94 year old Mum uses this product very successfully. Received promptly, many thanks. Too early yet to report on results. Excellent service, I shall use You again in the future.